The problem, for many, is that Cranston isn’t “plegic” at all. I saw the French film when it came out in 2012. 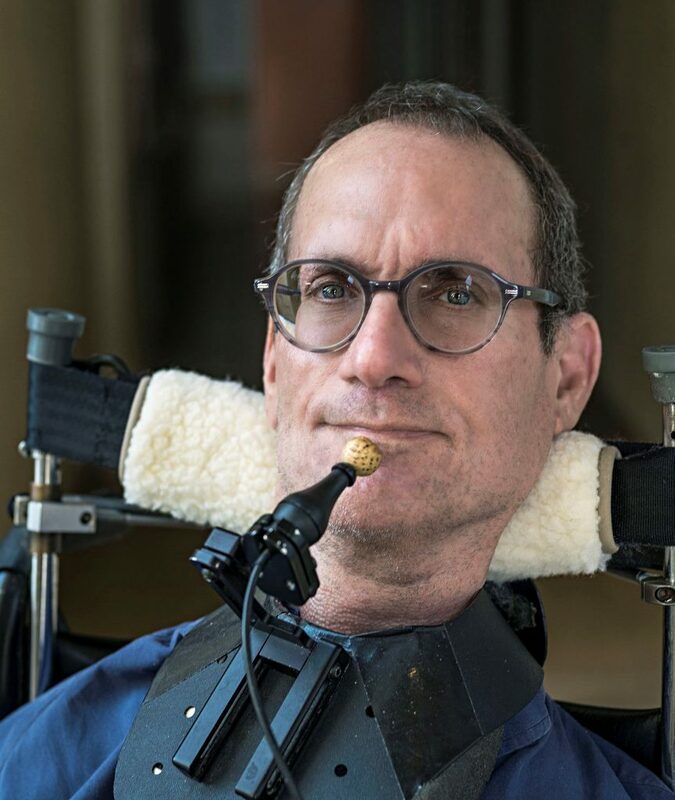 I was the only wheelchair guy in the small art-house theater, and my wife swears it was only after I laughed out loud that others in the audience felt free to laugh, too. It was a funny movie, but it was an awkward kind of funny. It’s the sort of humor that evolves when two mismatched people try to relate to each other—and one of them has a severe disability. I admit I haven’t seen the new one yet. 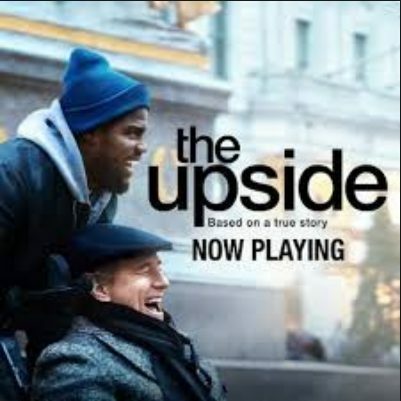 But both versions are about a rich, aristocratic, white quadriplegic who hires an unskilled poor black ex-con (Kevin Hart, in the American version) to be his personal-care attendant. Needless to say, an awkward bond is formed. And it’s no spoiler to reveal that, by the end, the white guy learns to loosen up and enjoy life more and the black guy learns to appreciate high culture. Both incarnations feature a non-disabled actor as the quad. True, it’s not uncommon for able-bodied thespians to portray disabled characters. Not long ago, Joaquin Phoenix portrayed quadriplegic cartoonist John Callahan, and Eddie Redmayne won an Oscar for his performance as physicist Stephen Hawking. Critics. Critics and audiences seem to eat up these performances. But disability activists find them absurd and even offensive. Some have dubbed the phenomenon “crip-face,” reminiscent of the blackface of old-time minstrel shows. Of course, the movie companies and actors defend this practice. They say actors always play characters who are not like themselves. It’s part of the job description. Frankly, this argument has a degree of merit. If actors can portray kings and paupers, if they can put on accents of other nationalities and don makeup and hair-dos of all kinds of kooky characters, why shouldn’t they portray people with disabilities, too? Cranston didn’t have to make and sell meth to become Walter White, the meth dealer. It’s make-believe, after all. And people with disabilities are part of the mix of society, fair game for impersonation. I could almost forgive “crip- face” if it’s fair, if it accurately tells disability stories or furthers the disability cause. As long as the portrayals don’t set disability rights back, they’re better than not having any representation of disability in the media at all. But are these actors portraying us fairly? To what extent do they communicate the disability experience? What’s more, employing non-disabled actors reinforces the notion that actual disabled people shouldn’t be seen or heard from. One “crip-face” portrayal here or there wouldn’t be so bad if there were more representation of disabilities in the mainstream media. Disabled actors could also be cast in roles where their disability is not central to the character they’re playing. We see this happening more and more with black, Hispanic and Asian actors in traditionally “white” roles and women in typically male roles. But at this time, most disabled actors are left on the sidelines. If studios won’t cast them in “regular” roles, then all they can do is wait for “crip” parts. If they’re not cast for those either, they’re really being totally discriminated against. Thanks for your comments. So when will they cast a real quad in a high dollar real movie about a quad, or a real para? Or in a television series? Why is discriminating against one group ok but not another? It’s all tiring in my opinion. If people with Down’s can now be the lead in programs, so can quads. Thanks for your generous review, but I’m not going to this movie. So very well said! BRAVO!! !